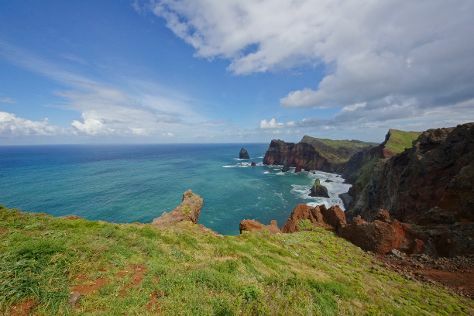 Start off your visit on the 19th (Tue): explore the activities along Lagoa do Fogo, pause for some serene contemplation at Igreja de Sao Miguel Arcanjo, then take in the dramatic natural features at Caldeira das Sete Cidades, and finally tour the pleasant surroundings at Mosteiros Beach. Keep things going the next day: contemplate the waterfront views at Poca Da Dona Beija, take in nature's colorful creations at Parque Terra Nostra, and then contemplate the geological forces at Lagoa das Furnas. To see reviews, ratings, other places to visit, and tourist information, read Ponta Delgada sightseeing planner . Calgary, Canada to Ponta Delgada is an approximately 15.5-hour flight. Traveling from Calgary to Ponta Delgada, you'll lose 6 hours due to the time zone difference. 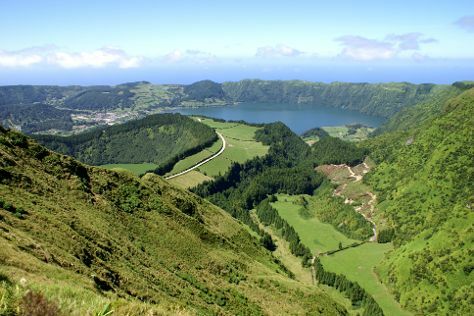 Prepare for warmer weather when traveling from Calgary in February: high temperatures in Ponta Delgada hover around 19°C and lows are around 14°C. Finish your sightseeing early on the 20th (Wed) to allow enough time to travel to Funchal. Start off your visit on the 21st (Thu): steep yourself in history at Blandy's Wine Lodge, then take in the architecture and atmosphere at Igreja de Nossa Senhora do Monte, then stroll through Miradouro da Ponta do Rosto, and finally look for all kinds of wild species at Ponta de Sao Lourenco. Get ready for a full day of sightseeing on the 22nd (Fri): get up close to creatures of the deep with a dolphin and whale watching tour, explore the activities along Porto Moniz Natural Swimming Pools, and then pause for some serene contemplation at Church of Sao Pedro. To find more things to do, where to stay, other places to visit, and more tourist information, read Funchal trip itinerary builder tool . Fly from Ponta Delgada to Funchal in 5 hours. The time zone changes from Azores Time (AZOT) to Western European Time (WET), which is usually a 1 hour difference. Expect a daytime high around 21°C in February, and nighttime lows around 15°C. Finish your sightseeing early on the 22nd (Fri) to allow enough time to travel to Lisbon. Visit Cabo da Roca and Jeronimos Monastery for their historical value. 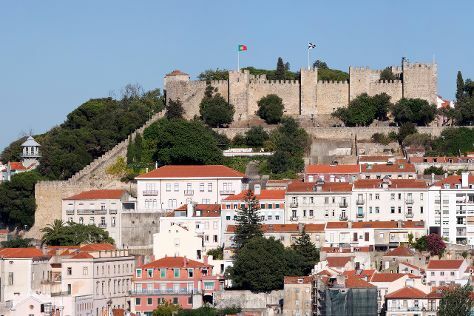 Get some cultural insight at Castelo de S. Jorge and Castelo dos Mouros. Change things up with a short trip to Park and National Palace of Pena in Sintra (about 44 minutes away). There's much more to do: wander the streets of Belém Tower, get a taste of the local shopping with Rossio Square, and snap pictures at 25 de Abril Bridge. To find where to stay, traveler tips, reviews, and tourist information, go to the Lisbon online visit planner . Traveling by flight from Funchal to Lisbon takes 4 hours. Traveling from Funchal in February, expect Lisbon to be slightly colder, temps between 18°C and 9°C. Wrap up your sightseeing on the 25th (Mon) to allow time to drive to Fatima. Fátima is a civil parish in the municipality of Ourém, in the Portuguese Santarém District. Start off your visit on the 26th (Tue): step into the grandiose world of Castelo de Tomar, then contemplate in the serene atmosphere at Convent of Christ, then don't miss a visit to Batalha Monastery, and finally take in the architecture and atmosphere at Shrine of our Lady of the Rosary of Fatima. Here are some ideas for day two: take in the spiritual surroundings of Monastery of Alcobaca, enjoy the sand and surf at Praia da Nazare, and then pause for some serene contemplation at Basilica da Santissima Trindade. To see other places to visit, ratings, reviews, and more tourist information, read Fatima online trip planner . Getting from Lisbon to Fatima by car takes about 1.5 hours. Other options: take a bus. Expect a daytime high around 17°C in February, and nighttime lows around 7°C. Finish your sightseeing early on the 27th (Wed) to allow enough time to drive to Evora. 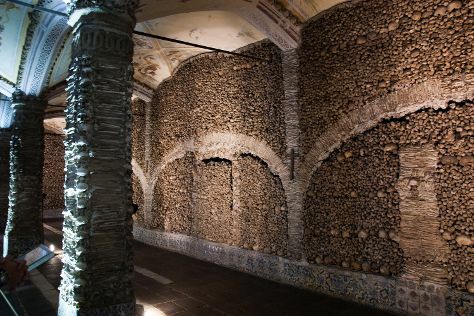 On the 28th (Thu), contemplate in the serene atmosphere at Templo Romano de Evora (Templo de Diana), learn about winemaking at Adega Ervideira, make a trip to Centro Historico de Evora, then contemplate in the serene atmosphere at Cathedral of Evora (Se Catedral de Evora), then don't miss a visit to Capela dos Ossos, and finally gain insight at Garcia de Resende Theater (Evora). On the 1st (Fri), you'll have a packed day of sightseeing: step into the grandiose world of Monsaraz Castle and Walls, do a tasting at Adega Jose de Sousa, then take in the architecture and atmosphere at Sao Joao Evangelista Church (Evora), and finally take a memorable tour with Tours. To find where to stay, maps, reviews, and more tourist information, read Evora trip planner . Traveling by car from Fatima to Evora takes 2.5 hours. Alternatively, you can do a combination of bus and train; or take a bus. In February, daily temperatures in Evora can reach 17°C, while at night they dip to 5°C. Wrap up your sightseeing on the 1st (Fri) to allow time to drive to Albufeira. Visit Cape Saint Vincent and Sant'Ana Church for their historical value. You'll get in some beach time at Falesia Beach and Praia dos Olhos de Água. 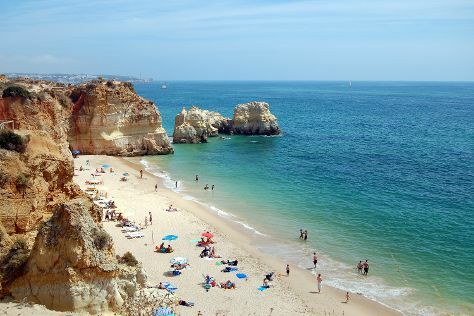 Venture out of the city with trips to Praia Da Rocha (in Praia da Rocha), Ponta da Piedade (in Lagos) and Praia da Marinha (in Carvoeiro). Next up on the itinerary: kick back and relax at Praia Gale and take in the waterfront at Alvor Boardwalk. To find photos, traveler tips, maps, and tourist information, read Albufeira road trip app . You can drive from Evora to Albufeira in 3 hours. Other options are to take a train; or do a combination of train and flight. Traveling from Evora in March, plan for a bit warmer nights in Albufeira, with lows around 11°C. Wrap up your sightseeing by early afternoon on the 5th (Tue) to allow enough time to travel back home.